Our firm has focused on providing Chapter 7, Chapter 11 and Chapter 13 bankruptcy representation for 27 years. We are dedicated to helping you not only receive a fresh start, but also achieve financial sustainability. We dedicate our time, talent and resources to ensure you get through the bankruptcy process effectively and efficiently. The following represents our process for a typical Chapter 7, Chapter 11 or Chapter 13 filing. Please note that we customize our representation for each client and your situation may create the need to deviate from standard processes or procedures. This in-depth evaluation helps us determine if bankruptcy is right for you, as well as which chapter suits your needs and goals. After we determine the best course of action, we begin gathering appropriate facts and financial information to prepare your petition. Once we prepare your petition, we will discuss the forms in detail so you are informed of the next steps. After you sign the documents, we will file the case with the Bankruptcy Court. Roughly 30 to 45 days from filing your petition, you and your lawyer must attend at least one creditor hearing. After the meeting of the creditors, we handle the rest of the details, issues and processes. 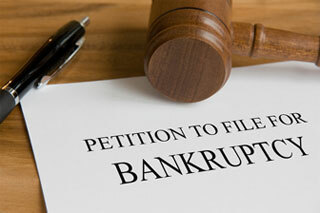 Chapter 7 bankruptcy discharges usually take a few months, after which you can start to focus on rebuilding your credit. Chapter 13 bankruptcy repayment plans last three to five years, which means you need someone in your corner constantly reviewing information and preventing complications. During this period, we review creditor claims and deal with creditor objections. We file motions when appropriate and take all necessary steps to ensure feasibility of your plan and confirmation of your plan by the Bankruptcy Court. We invite you to contact us today at 941-747-9191 to discuss your situation with the law office of James D. Jackman, P.A.